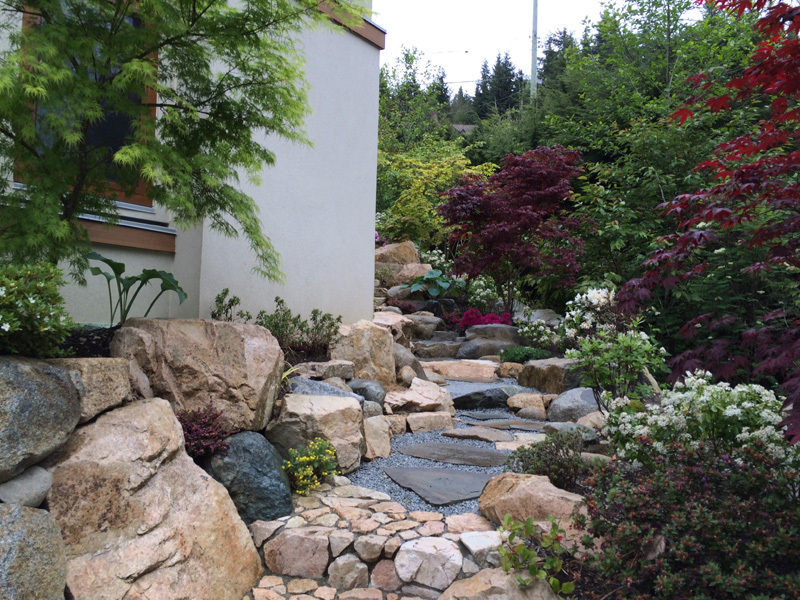 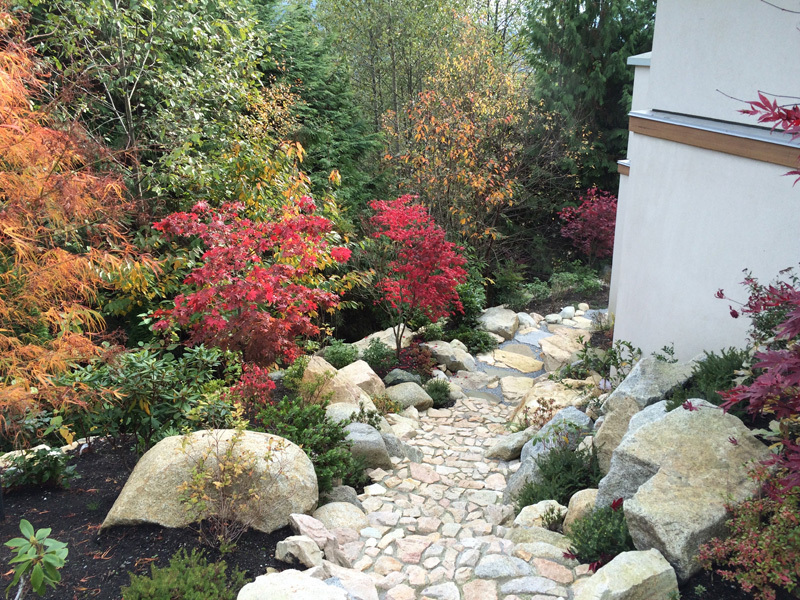 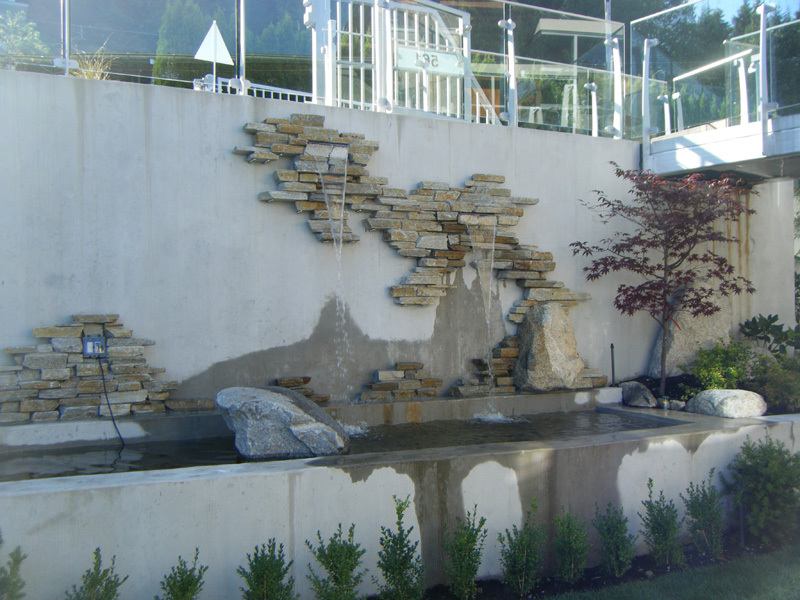 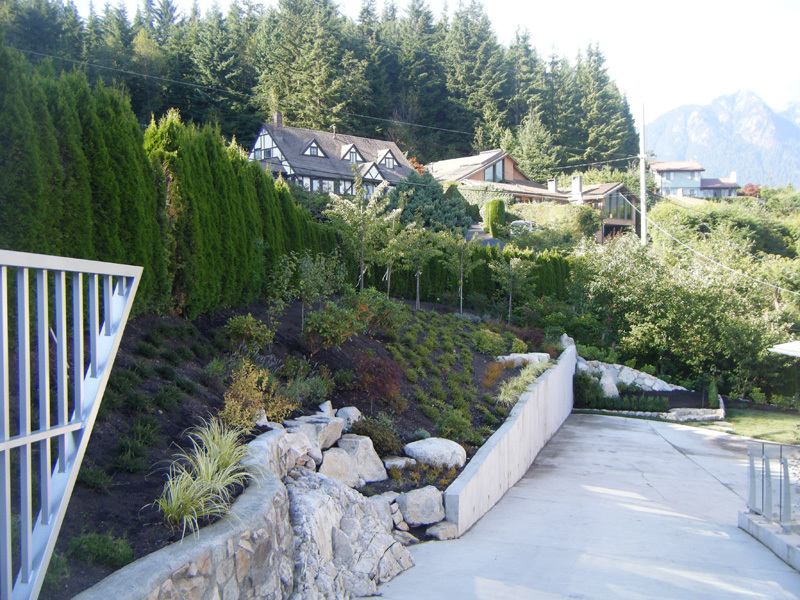 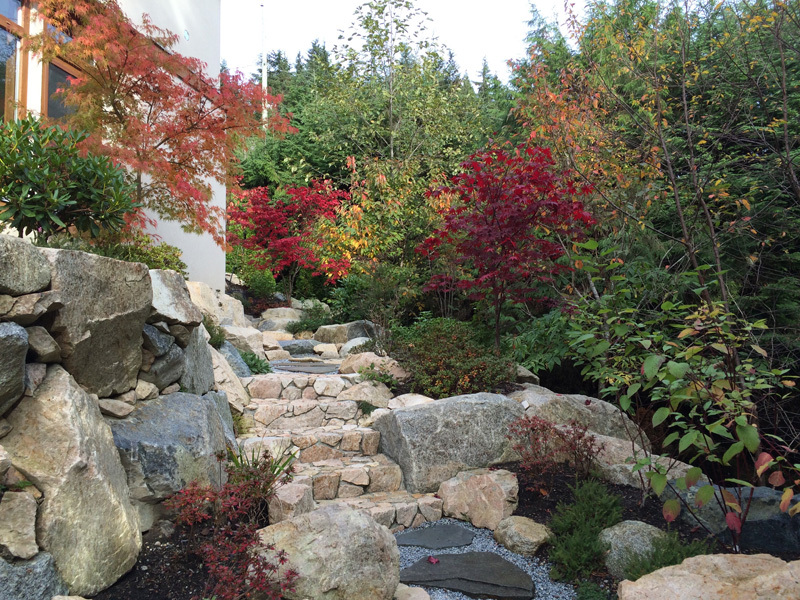 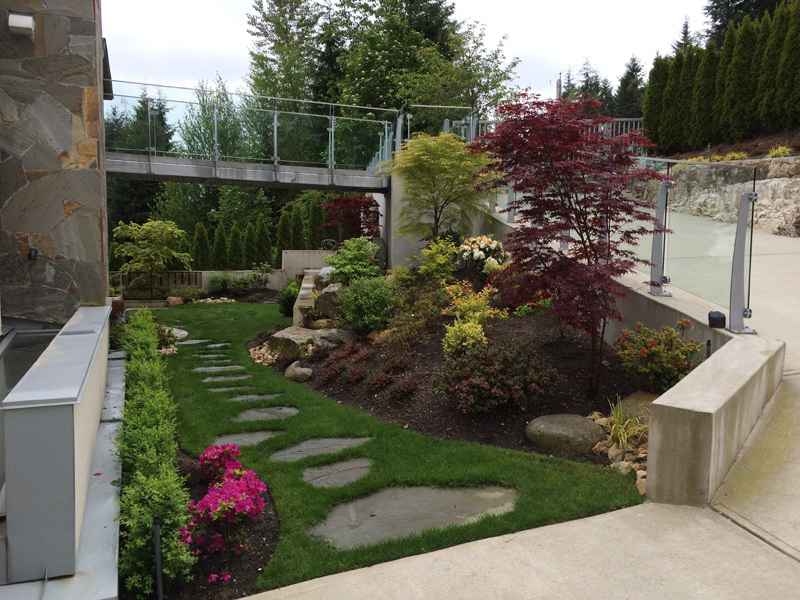 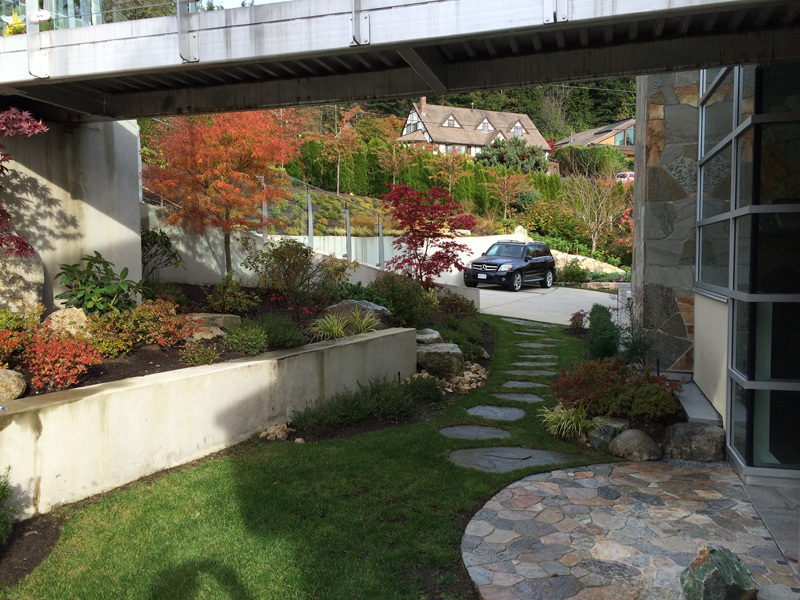 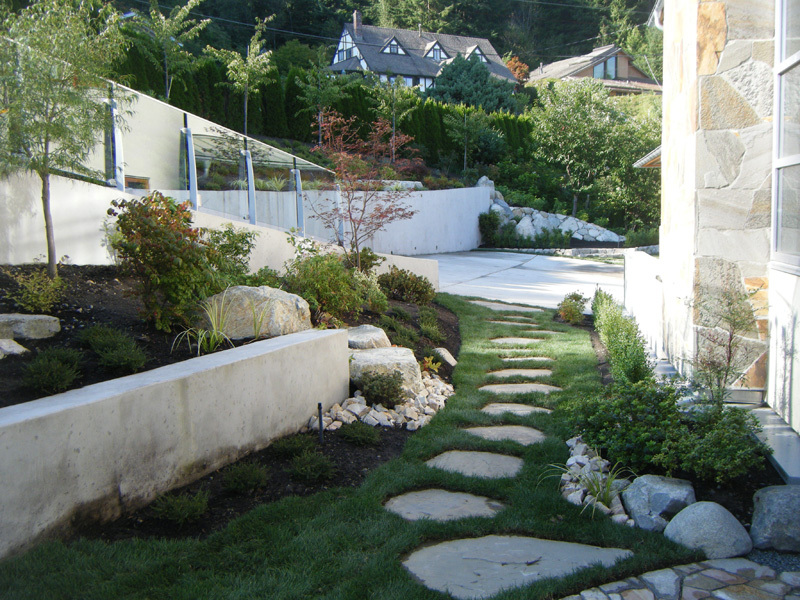 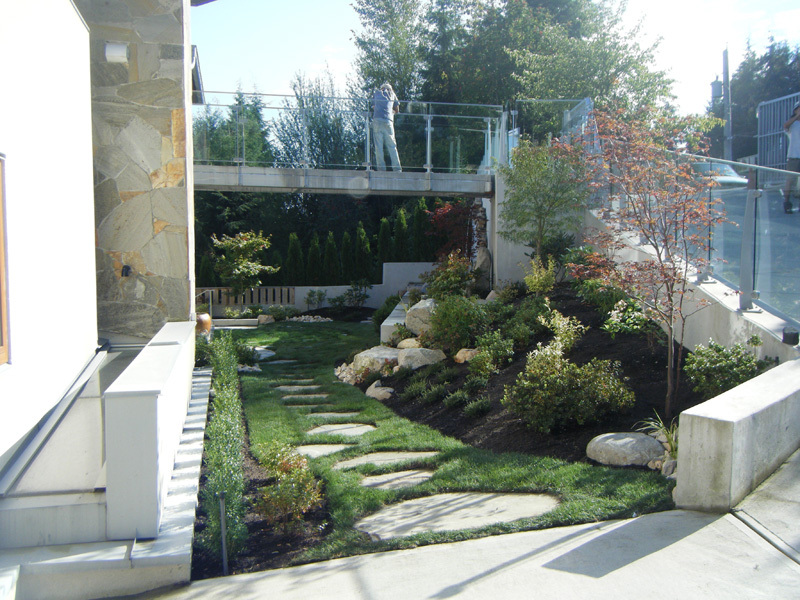 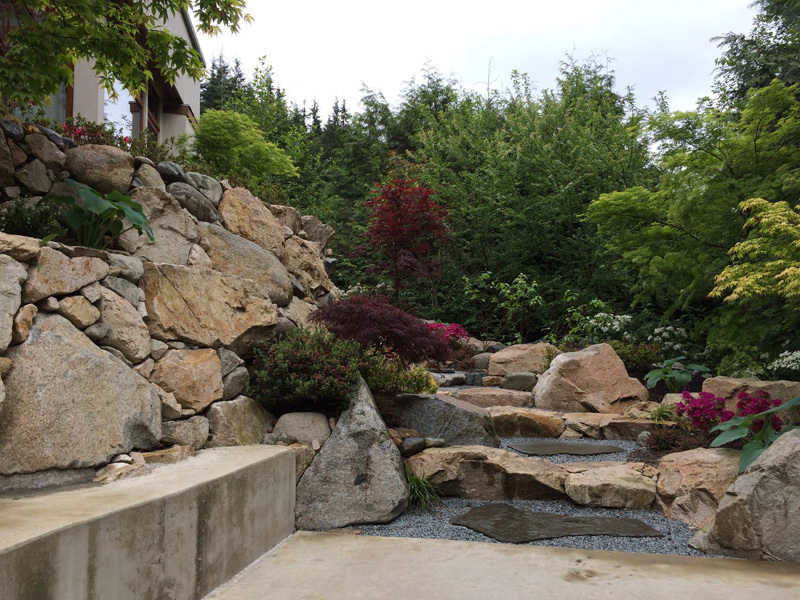 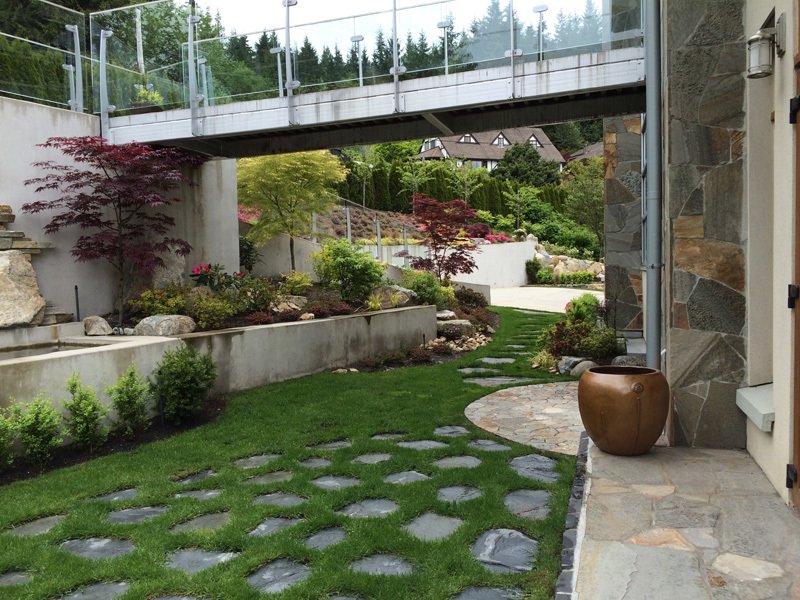 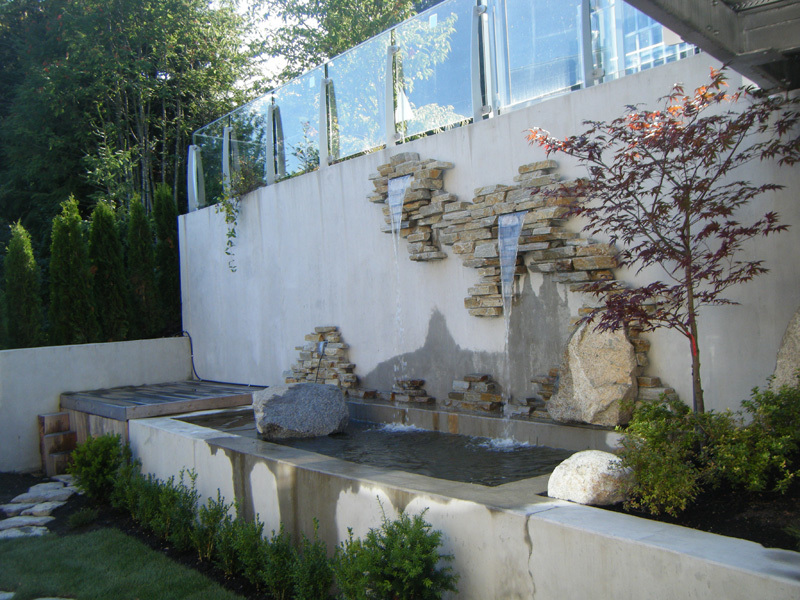 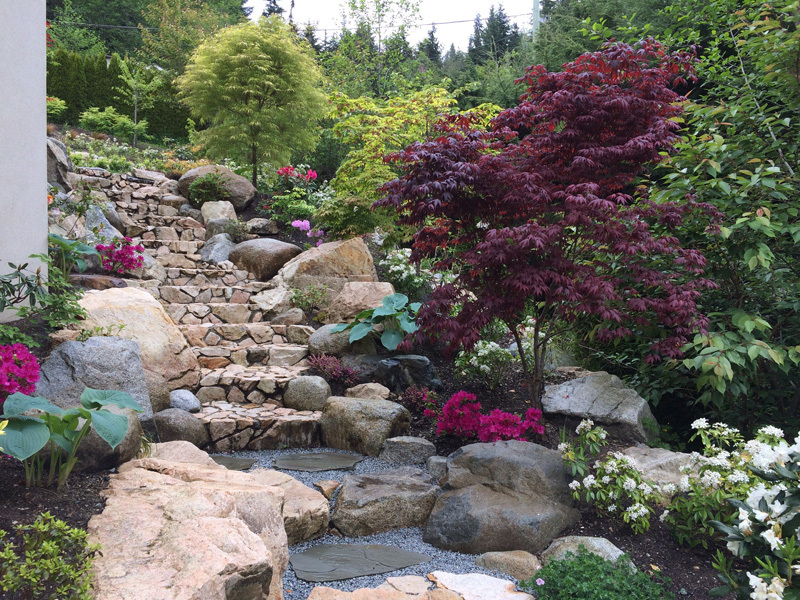 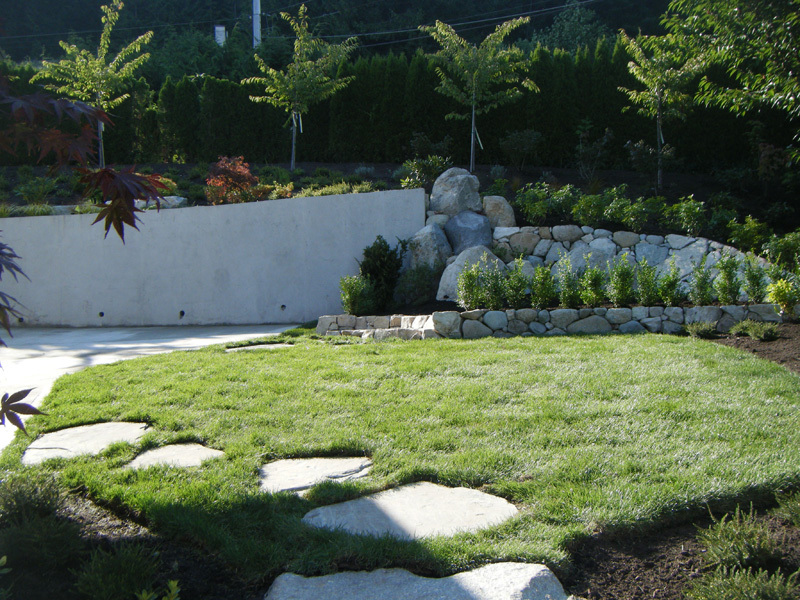 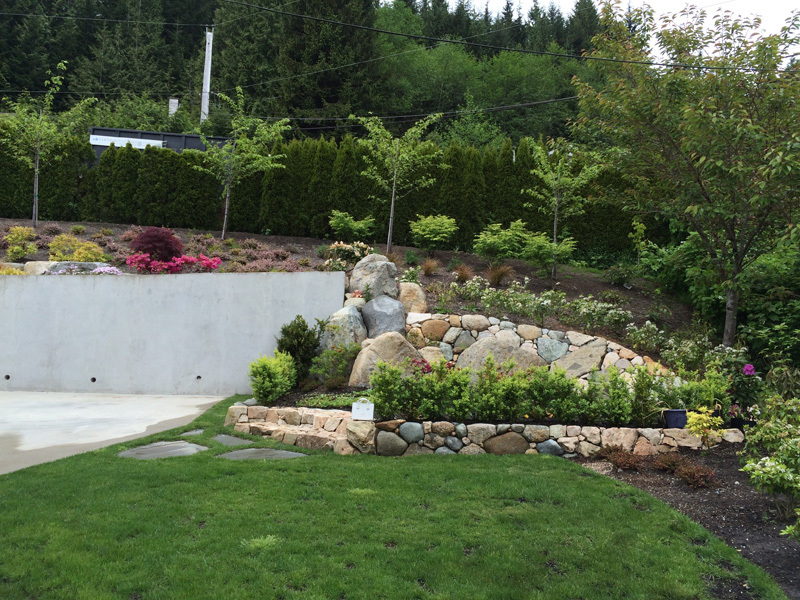 Glenmore – West Vancouver | Earth Sculptors Inc. 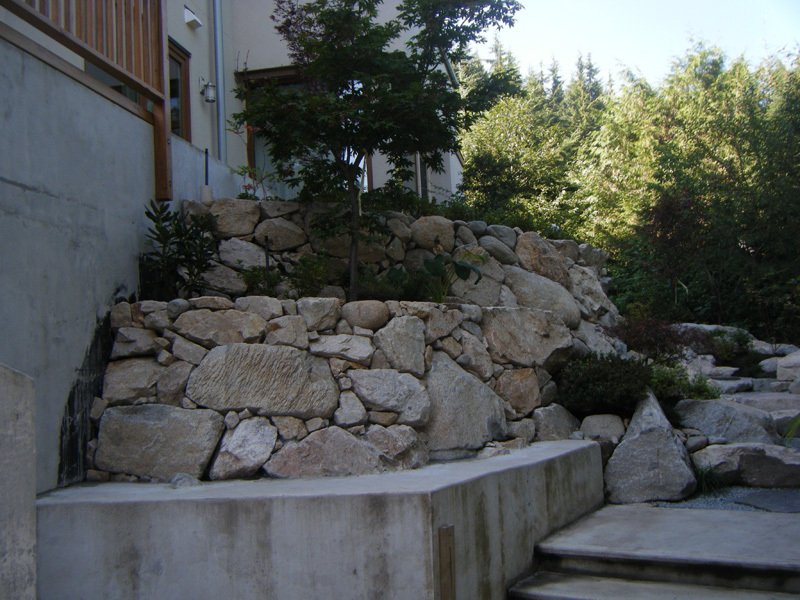 The pink and orange hues of stones and boulders sourced from this site perfectly match the architecture. 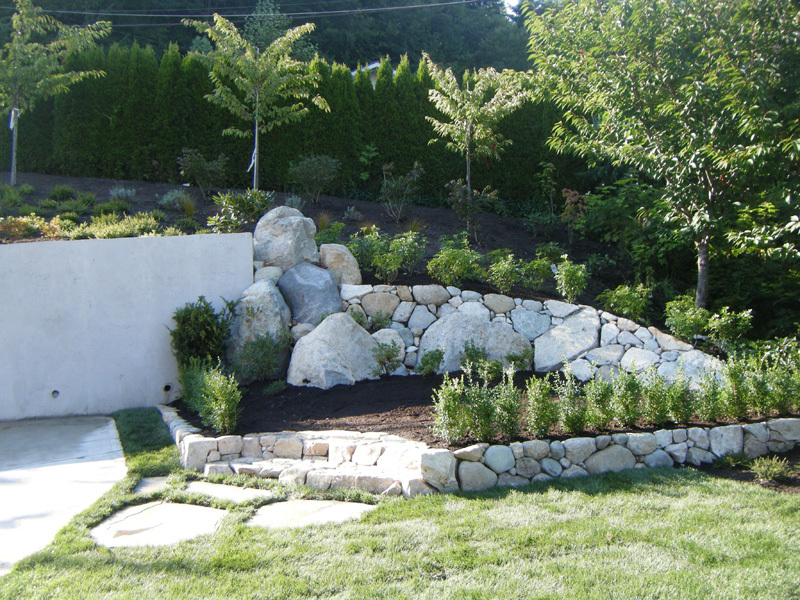 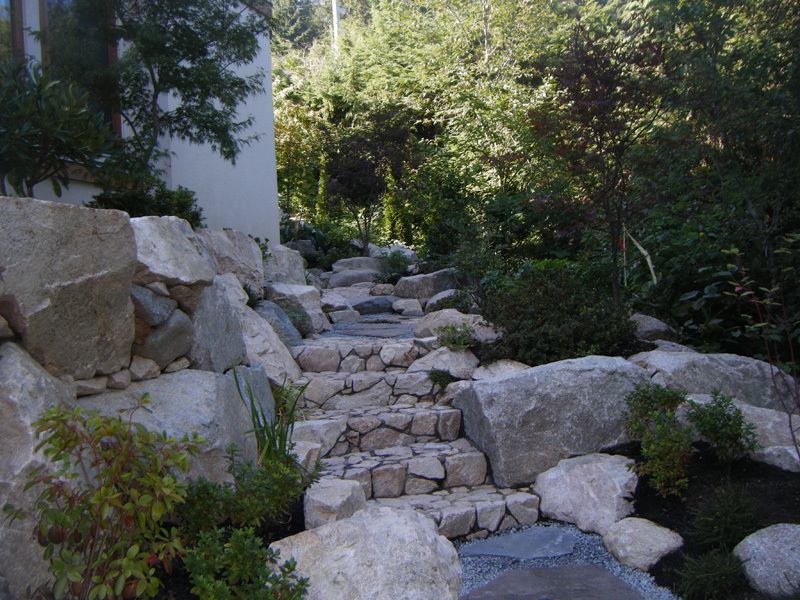 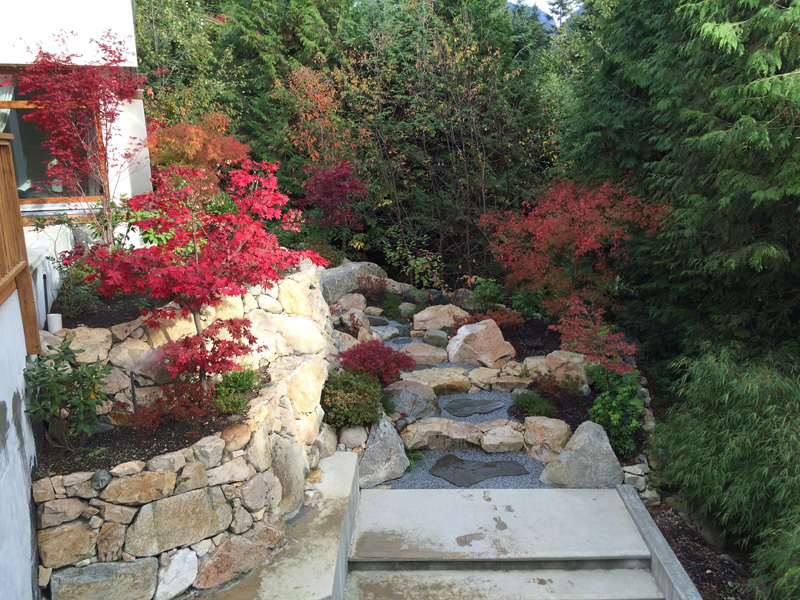 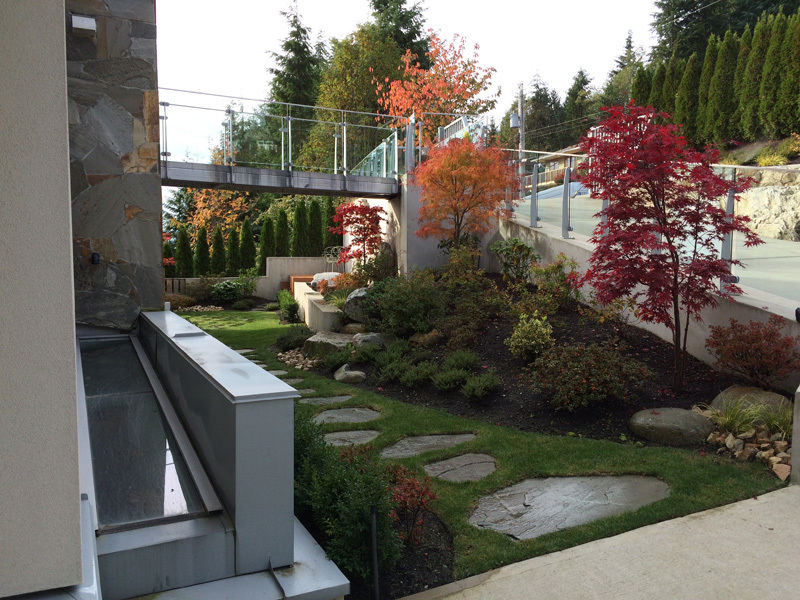 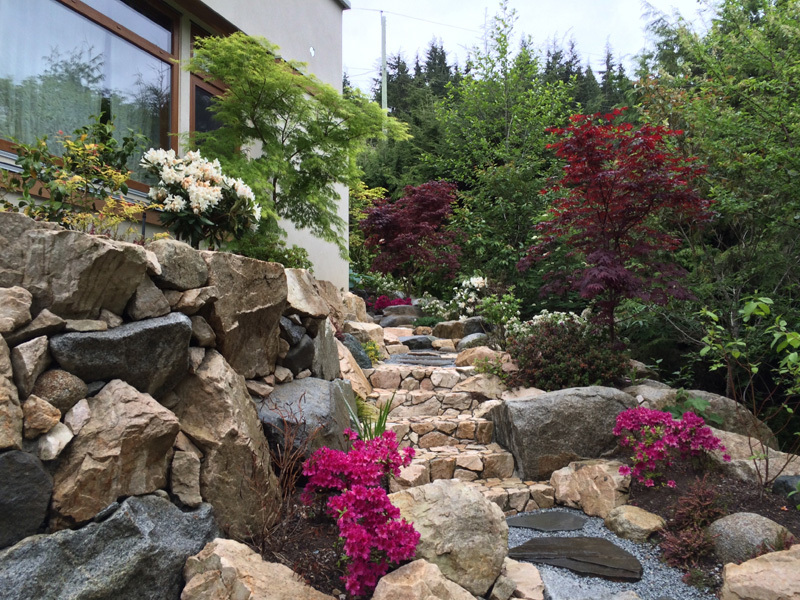 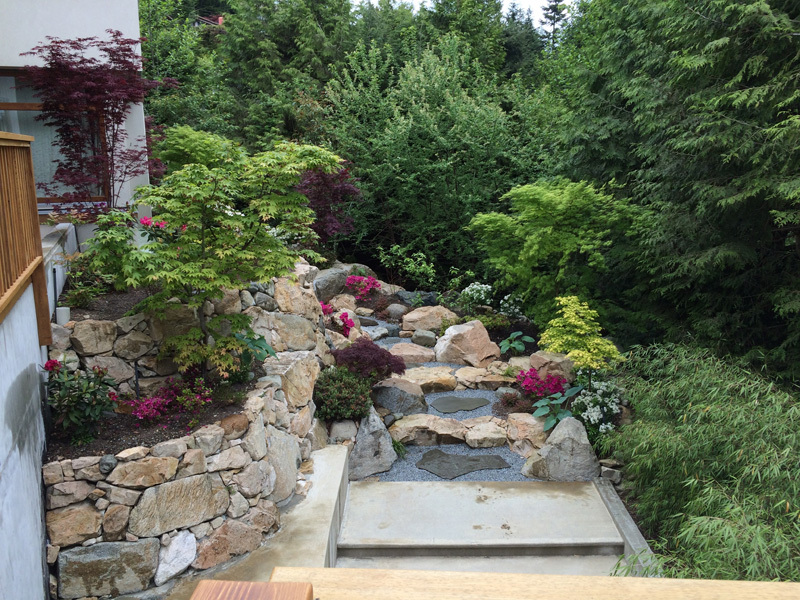 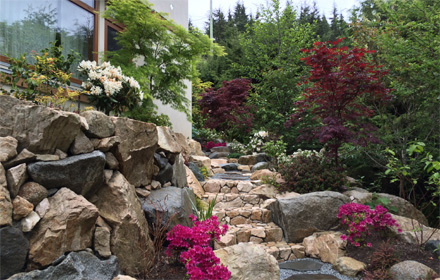 The front garden features a contemporary design with a stylish vegetable garden and custom-designed waterfall. 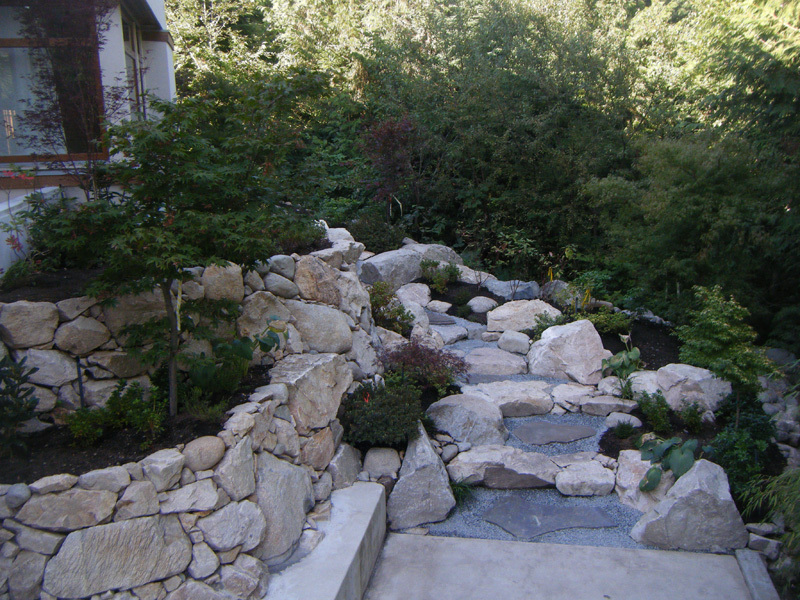 From the rear deck, visitors can view a dramatic retaining wall constructed with large boulders.